Facial flushing (also known as vasomotor flush) can best be described as a hot, burning sensation that causes the face, neck, and chest to redden noticeably. It is usually accompanied by a hot flash, a sudden and intense warming of the body that can last anywhere from 30 seconds to five minutes. Hot flashes and facial flushing are relatively common symptoms that can range from being a simple annoyance to a more debilitating and distressing condition. While there are many causes for these conditions, menopause is one of the most common. Most women will not be surprised to hear that hot flashes occur in about 80 percent of menopausal women, most often in association with a rising flush from the chest to face. Hot flashes and facial flushing are caused by a lowering of the set point of the heat-regulating center of the brain (called the hypothalamus). Chemical changes in that portion of the brain can sometimes fool it into thinking that the body temperature is either too high or too low. During a hot flash, blood vessels in the skin will widen suddenly, causing redness and a hot, burning sensation. In response, the body will drop its temperature quickly, narrowing the vessels and allowing heat to escape. This is why women will often sweat first and then shiver during the hot flash. Menopause directly causes these symptoms by altering the hormonal equilibrium of the body. During menopause, the ovaries will begin to stop functioning, causing estrogen levels to drop. Estrogen, a hormone central to female sexual reproduction, also serves to stabilize the heat-regulating center in the brain. As estrogen levels fall or fluctuate, the body's natural thermostat can sometimes go haywire until equilibrium is eventually restored. While neither hot flashes nor facial flushing can be cured per se, they can be managed. The most effective means is estrogen therapy, which can be taken either orally (by mouth) or transdermally (through the skin). 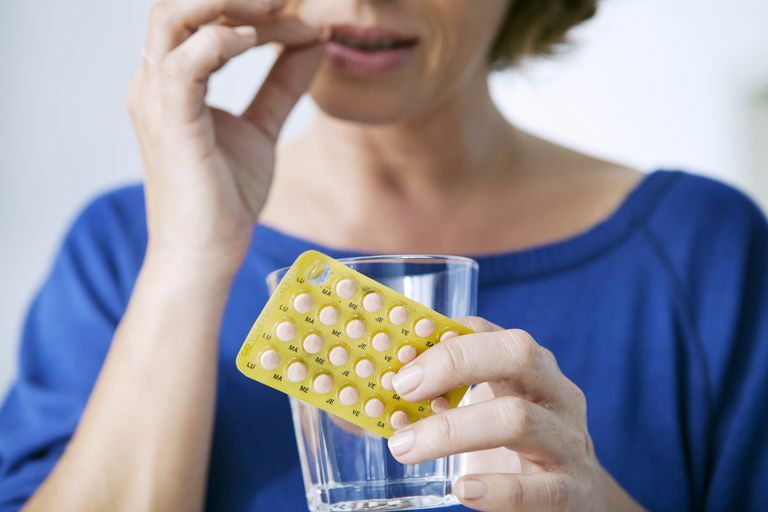 In women with an intact uterus, progesterone would be prescribed in tandem to prevent the overgrowth of uterine tissue. There are also a number of non-hormonal therapies women can turn to, including the antidepressant Brisdelle (paroxetine). Certain blood pressure medications, such as clonidine, have been shown to reduce flushing by regulating chemicals in the brain key to heat regulation. Other therapies include progestins, Effexor (venlafaxine), and Neurontin (gabapentin). Since hot foods and emotional stress can exacerbate flushing, the avoidance of hot beverages and spicy foods during menopause can help, as can engaging in yoga and other activities promoting progressive muscle relaxation. Other non-medical interventions include a reduction in caffeine and/or alcohol intake, as the wearing of loose-fitting clothes. Quitting smoking is also highly recommended. Freedman, R. "Menopausal hot flashes: mechanisms, endocrinology, treatment. : J Steroid Biochem Mol Biol. 2014 Jul;142:115-20. The North American Menopause Society. The Menopause Practice: A Clinician’s Guide (5th Edition). 2014;ISBN 978-0-692-26135-4.